A rare screening of episodes from a series of films about Glasgow originally aired on the BBC in 1982. The series constitutes an amazing document of Glasgow, and the East End in particular, and provides a crucial historical context for understanding present-day social and environmental problems in the city. 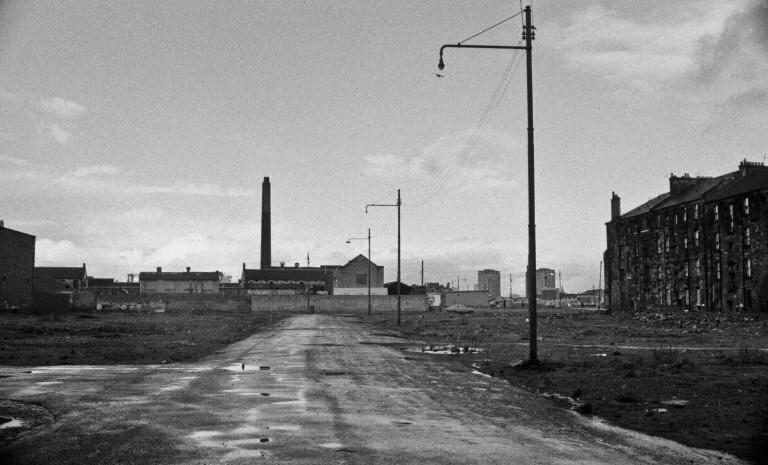 Episodes focus on the blight left behind from the mass demolitions of the 1960s and 1970s – the era of Comprehensive Development Areas; the closure of Beardmore’s Forge at Parkhead and with it the end of large industry in the East End; and a portrayal of the infamous Barrowfield Scheme next to Parkhead. For those interested in current ‘regeneration’ plans associated with the Commonwealth Games 2014 and Clyde Gateway, it is unmissable. Margaret Jaconelli, who was evicted by CPO on the site of the Commonwealth Games Village, and Neil Gray from Glasgow Games Monitor 2014, will talk about the films in relation to the present era. Followed by open discussion. Donations on door welcome. Organised by Glasgow Games Monitor 2014 and Fight Racism! Fight Imperialism!